Time for Feature and Follow Friday. Click on the image to see the original post and all the links. Which book do you reread the most? Les Miserables by Victor Hugo is probably my most reread title, but I also return to Austen regularly, as well as Chelsea Quinn Yarbro's Saint Germain novels and The Vampire Empire by Clay & Susan Griffith. I wish I had more time for rereads, but a constant supply of new books tends to keep me busy. I'd especially like to go back to a few of the classics as, in many cases, it's been around 15 years since I first read them. 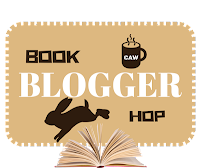 And here's this week's Book Blogger Hop. What's your favourite Valentine's Day read? Not sure that I have one. Maybe Eugene Onegin - some tragic love. Oh, I need to read "Les Miserables"! I have the book, too, in two volumes, but I have yet to read it. My most re=read books are the 4 volumes of The Twilight Saga. I LOVE them!! I see that you have a vampire series, as well. I've never heard of it, either, so I'll check it out! As for "Eugene Onegin", all I know about it is that it's an opera. I've just found out that it's a book, as well, so that's another one for me to take a look at. Yes, Eugene Onegin started as a book - it's a prose poem by Pushkin. There is also a good film starring Ralph Fiennes and Liv Tyler. The Vampire Empire is a fun series. If you don't know them, you might also want to check out the Saint Germain novels by Chelsea Quinn Yarbro. I hope you have a good weekend. Yes, there were certainly plenty of diverse suggestions in this week's hop! I still have to get through Les Miserables once. Haha. I started it over 20 years ago and kept meaning to pick it up again to finish but never did. Now I'm sure I need to start over. Tragic love on Valentine's Day sounds fitting. :-) I like that idea! I hope you have a great weekend. Les Miserables is great. The opening is a bit slow, but stick with it! I generally don't dog-ear books, but Les Miserables is the one exception as I like to mark my favourite spots to find them fast! Rereading can take up a lot of time when there are so many books and so little time! I find myself to mostly just reread when I am in a slump. I will then reread one of my favorite books/series and remind myself why I love to read so much! Thanks for commenting on my #FFF post! Happy Early Valentines Day! That sounds like a good system, Amanda. Thanks for stopping by. Great answers. I totally agree with you about the time for reading books which sometimes I don't have a lot of time on my hands for reading. Because something always comes up in life. Thank you so much for stopping by my #FFF. Yes, if only we had less work and more reading hours in the day! Thanks for visiting my blog this week, Katiria.